Everlasting love is showcased on the Pont des Arts bridge banister. We were wondering what you do in case of a divorce... Maybe that would be the time to bring out the bolt cutters. This bridge is found in Paris, France. 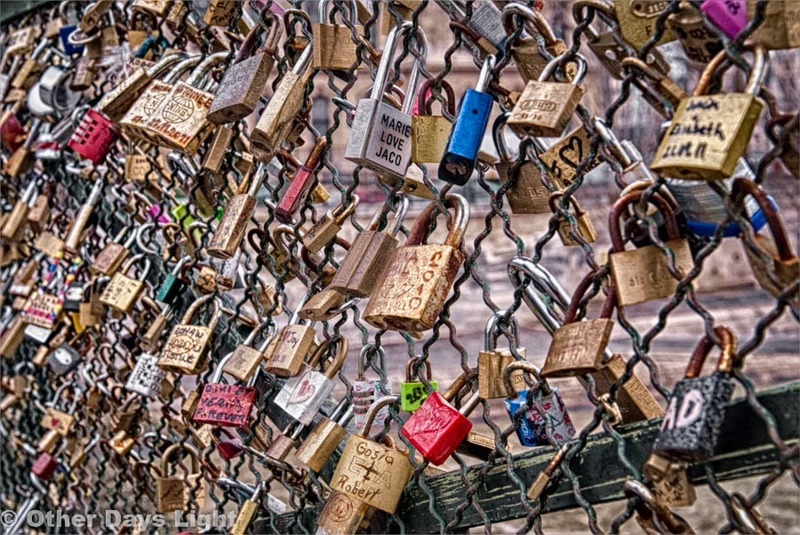 They say that the weight of the padlocks has threatened the bridge's structural integrity.